Children are the most precious natural resource that communities and humanity have. The League of Nations Declaration of 1924 pledges, “Mankind owes to the child the best it has to give.” The Declaration stressed that children should have “by right” the means necessary for their normal development. The 1959 UN Declaration of the Rights of the Child affirmed the rights set forth by the League of Nations and noted that children need “special safeguards and care” and that a child has to enjoy “special protection”. Neglecting these rights and safeguards harms children and endangers their self-esteem, healthy growth and development. Violating these rights using systematic and institutional oppression harms not only the psychological, social and emotional well-being of a child, but also the future resources of nations. Even when children are not direct victims of a traumatic event, they can still be harmed by witnessing it transpire against their friends, their family members and the community at large. Growing up in a refugee camp among many children whose fathers weren’t around to care for them made me aware at a very early age that I did have my father. Some fathers were locked up in Israeli jails with a very limited number of visits, where children briefly talked to their fathers behind bars and were not allowed to be with them in person. Other fathers worked in Israel for most of the week, meaning they left the camp at dawn and returned at night when children were already in bed. The fathers of some children were even more distant, having traveled to the Gulf to provide for their families. And, of course, the fathers of some children had been killed by the Israeli military. Some children grew up, got married, and even had their own children while their fathers were behind bars. In the camp, however, we share almost everything. We share pain and love and also the thin resources we have. Orphans and children of prisoners in particular receive special care. But there were always occasions such as Eid days, marriages, funerals of close family members or days when a child would be asked to bring his dad to school – for good or bad reasons – that no matter what the community did, these children would feel alone or broken. I will never forget the words of my relative, Maysa, then a six-year-old girl, whose dad was sentenced to 12 years in prison. Our neighbor, Ni’ma, had her second baby boy. This was a nice opportunity for many of the women and children of the camp to gather at her home to have a cup of tea celebrating the new arrival and to provide help in selecting a name for the child. Maysa, a shy girl, loudly shouted “call him Baba.” All the children burst into laughter and the women paused talking. Maysa ran out of the room battling her tears. The next day, I visited Maysa’s home and talked to her mom who said that Maysa missed her dad very much and always woke up at night asking for him and calling “Baba.” In calling the child Baba (father in Arabic), Maysa wanted to fulfill her desperate need to utter the word, but was also conveying the profound sense of love that the word carried for her. More than two decades after that story, the violations of Palestinian children’s rights are still occurring and the mental and physical well-being of children is deteriorating. The “opportunities and facilities” granted by law and by other means” for healthy and normal physical, mental, moral, spiritual, and social development “in conditions of freedom and dignity,” have never been fulfilled for Palestinian children in Gaza and the West Bank. On 21 January, the Israeli military court in Ofer prison sentenced a 14-year-old child, Malak al-Khatib, from Beiteen village in the West Bank, to two months imprisonment and a suspended fine of 6000 shekels (£1000). The girl was arrested on charges of throwing stones and having a knife in her schoolbag, charges which her father described as baseless, accusing the soldiers of falsifying their testimonies. In a stark violation of international treaties and laws regarding the protection of children, Malak was subjected to interrogation and harsh treatment without legal representation. Her family was never allowed to see her and her mom was prevented from approaching or talking to her during the court hearing. Malak is one of the youngest girls ever detained and sentenced by Israel. As of November 2014, Defence for Children International – Palestine (DCI-P) recorded 156 Palestinian children in Israeli detention. Since 2000, an estimated 8,000 Palestinian children have been detained and prosecuted in the Israeli military court system. And, of course, more than 538 Palestinian children were killed and over 1,500 became orphans in Israel’s military assault on Gaza in 2014. 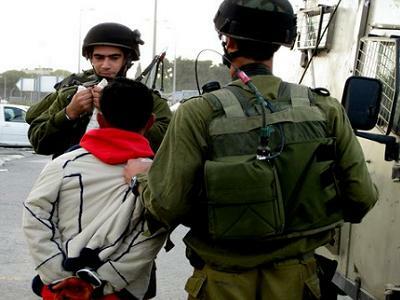 DCI-P also reported that 75 percent of Palestinian children imprisoned by Israel were physically assaulted during interrogation and detentions. UN Children’s Fund (UNICEF) has documented violations of children’s rights, including patterns of killing and injuries, arrest, ill-treatment and torture, displacement and denial of access to health and education services. While hundreds of children are subjected to imprisonment every year, all Palestinian children face other sources of violations. Too many are subjected to house demolitions and movement restrictions, both of which cause considerable turmoil and pain for children and their families. House demolitions, used routinely as collective punishment, can have an immense psychological impact. In 2014 alone, according to UNRWA, more than 96,000 homes were damaged or destroyed by Israel in its 51-day assault on Gaza. Israeli officials know that this policy hits Palestinians in the heart. This form of punishment denies Palestinian children a sense of belonging, a concept of possession and an idea of home. It’s as if the occupation were designed to strip Palestinian children of their last sanctum of physical protection. 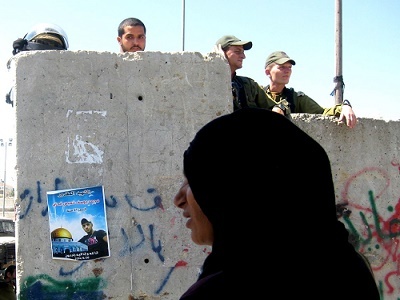 Confined within an open-air prison in Gaza and within the Bantustans of the West Bank, the message is clear: you are not welcome in this land. For many, this is “old news”. Similar conclusions were reached by numerous respected international reports, including Goldstone’s and the Russell Tribunal on Palestine. The question is whether any Israeli official will be held accountable. Will human rights and the protections for human dignity ever restore the wholeness that has been broken by Israeli patterns of deliberate incidents of dehumanization and marginalization of Palestinian children? The struggle for Palestinian children to regain their rights and dignity is the struggle to restore the future in all its fullness. It is, however, a task the international community is failing every day in Gaza as reconstruction projects languish and Palestinian children continue to suffer the ravages that came with the shock of Israel’s intense bombardment of that tiny parcel of land in July and August of last year. Donor countries have made their pledges. Yet no one in Gaza expects them to be good to their word. These empty promises are, of course, a far cry from providing “special safeguards and care” for children.